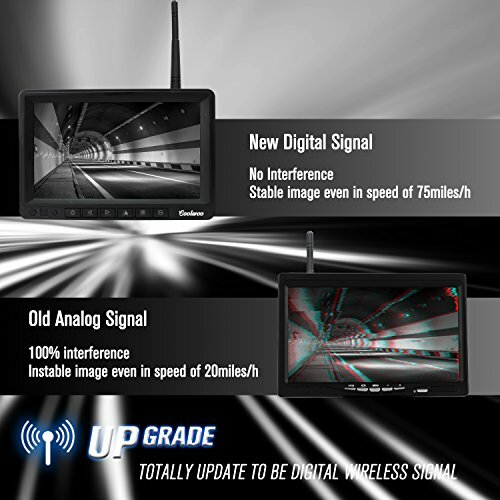 STRONG WIRELESS SIGNAL: 100% No interference, No additional wiring. 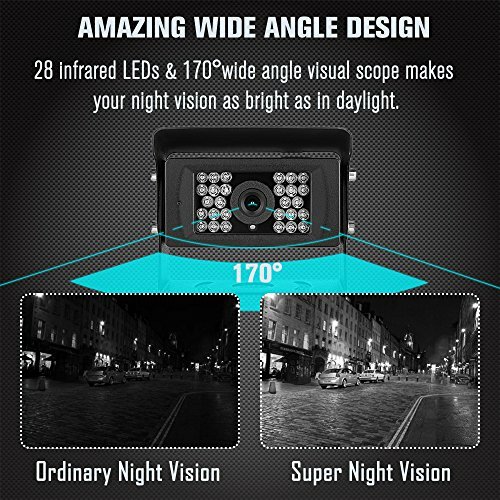 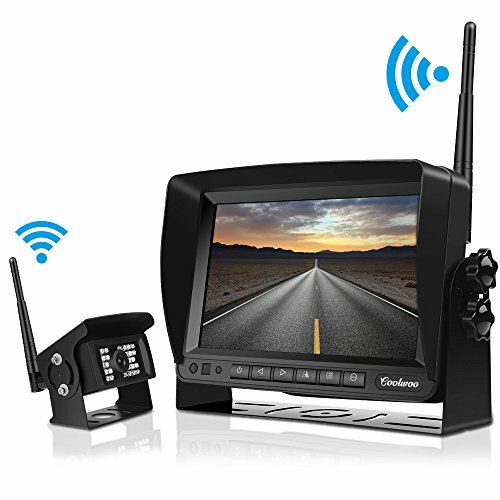 The wireless rear view camera boasts an HF signal emission device with an effective 50m signal range which ensures stable & smooth wireless signals even at a car speed of 75 mile/h. 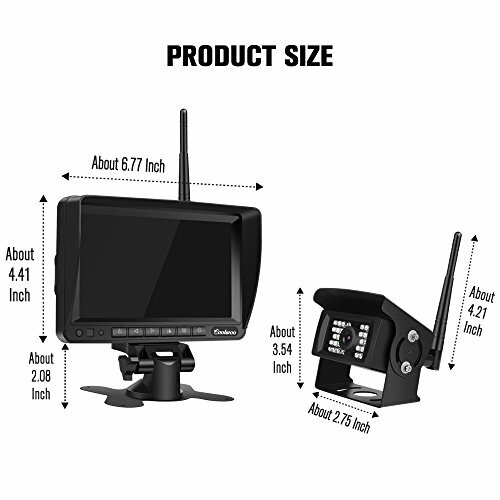 Two mounting brackets allows you to install the monitor at a desired angle & position! 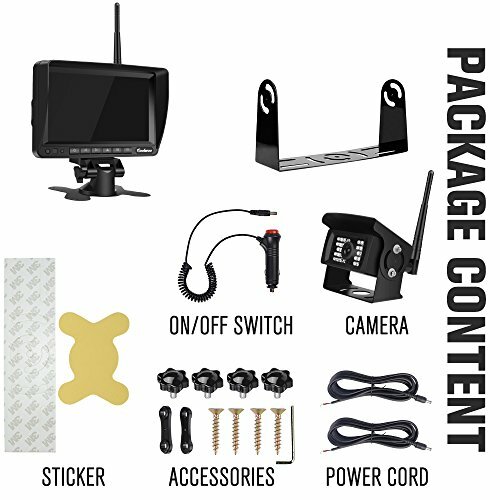 BUILD-IN WIRELESS MODULE: No need to worry how to paire monitor and camera. 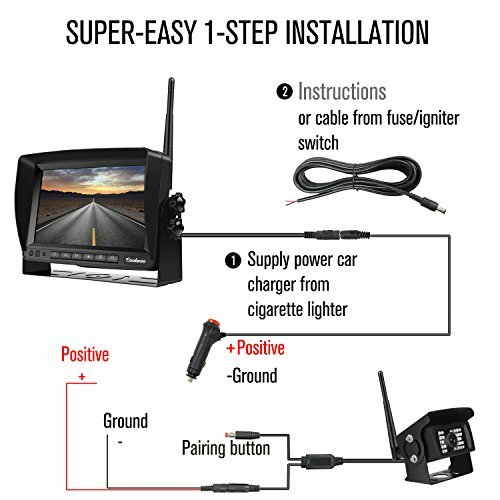 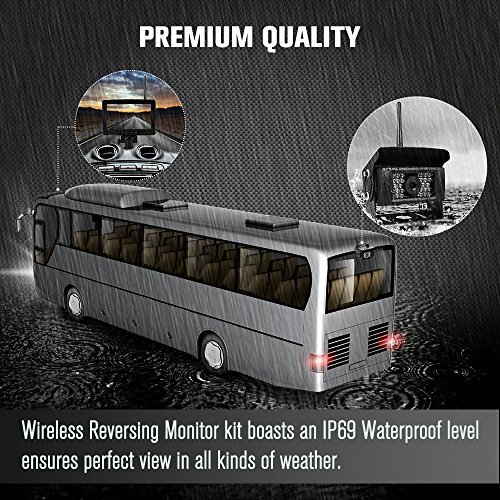 Respectively mount the 7 inch monitor and backup camera on your vehicle, power the device, start driving now!